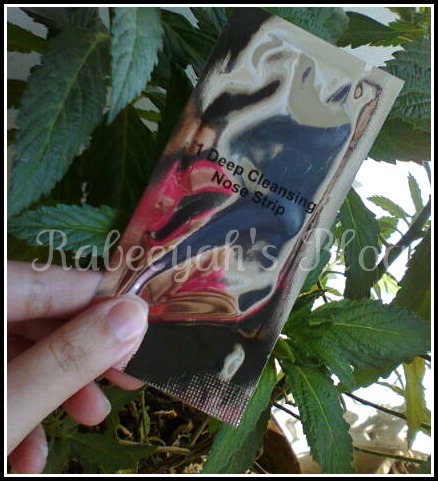 Guest post by SIDRA KHALIL - Nose Pore Strips! It took me a little time to decide about the product, so I thought of writing a review for a product which I recently found and absolutely satisfied with the result. This product is Pretty Smooth Nose Pore Strips. Who doesn’t like to have her face completely clean and free of blackheads and unclog pores? These strips are the best way to get rid of them. They are the worst blackheads enemy. What are pore strips and how do they work? Blackhead strips is a product made especially for blackheads (pore clogs) on nose, forehead, chin, and cheeks removal. There’s a glue coating element which binds all dirt, oils and sebum when pore strips are applied on the skin. As soon as the blackhead strips dries out it is being peeled off with everything it had bound to it which are blackheads and whiteheads and all their content. Prettysmooth cleansing nose pore strips offer you a one step solution to help remove blackheads and unclog pores, these are a weekly pore refining treatment for the nose area that instantly remove pore clogging dirt, oil and blackheads. Regular use of the strips will diminish the appearance of your pores. I am totally satisfied with this product and whatever they said is absolutely true, except one thing that it does not diminish the appearance of your pores; no pore strips can do that. I have open pores skin, and have a lot of blackheads on my nose and cheeks area. I have tried God knows how many tips and totkas like tomato paste, or freezed tomato or soda mixed with little water, but nothing worked on me. I have even taken facials to get rid of them but every time I go to a saloon they kept squeezing my nose so hard that my nose ends up looking like a red tomato. And it hurts pretty badly as well. I have used other brand’s strips as well, and after trying so many brands I wasn’t impressed by their price and result but with these strips I was totally shocked after peeling the strip off of my face. It was full of blackheads. Don’t worry m not going to show you the used strip because it will gross you out. And I know it sounds a bit gross too but truly my nose was all clean and clear and I was happy all the day. Direction for use and warning are all written at the back side of the pack. Best time to use them is right after the shower. After removal some glue left on the skin, this glue is easily washed with water. It sometimes hurts to remove if the strips adhere too strongly or is painful to remove, wet the skin thoroughly until strip is easy to remove, I never wet the strips when they hurt, I just remove them slowly and gently. Skin itches after the usage which is pretty usual after removal so don’t panic just apply some disinfector or wash your face with cold water and itchiness will soon fade. These Prettysmooth Nose Pore Strips are easily available in good super stores. I bought mine from Motta’s super store. And it cost only rupees 150 per box which is very inexpensive compared to the result it gives. Each box has 6 cleansing strips. If you have oily skin and a lot of blackheads then go ahead grab your pack of Prettysmooth Nose Pore Strips. If you have already tried Prettysmooth nose pore strips, please share your experience. okie! ALL HAIL Sidra! after reading your review i got a box of these! LOVE THEM! thank u so much! I will try this nice product. Keep posting! These Prettysmooth Nose Pore Strips are easily available in good super stores. I bought mine from Motta’s super store. And it cost only rupees 150 per box which is very inexpensive compared to the result it gives.